Changi Women's Prison Superintendent Chong Fung Ping. 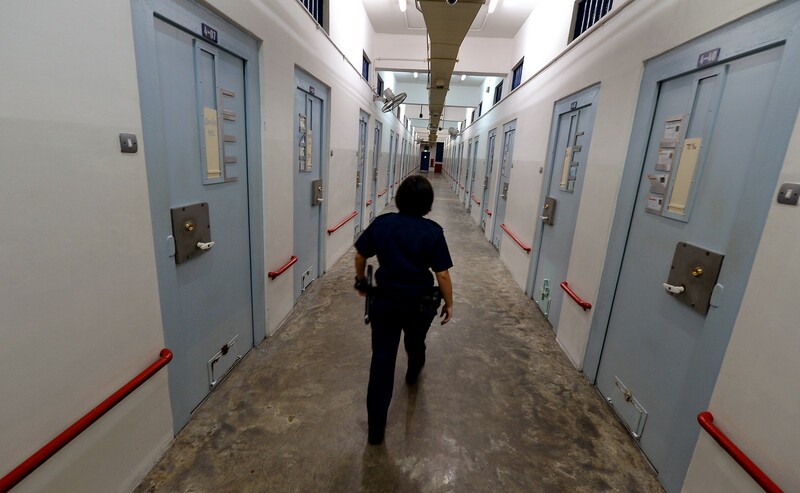 It is no easy job running the only female prison and drug rehabilitation centre in Singapore. 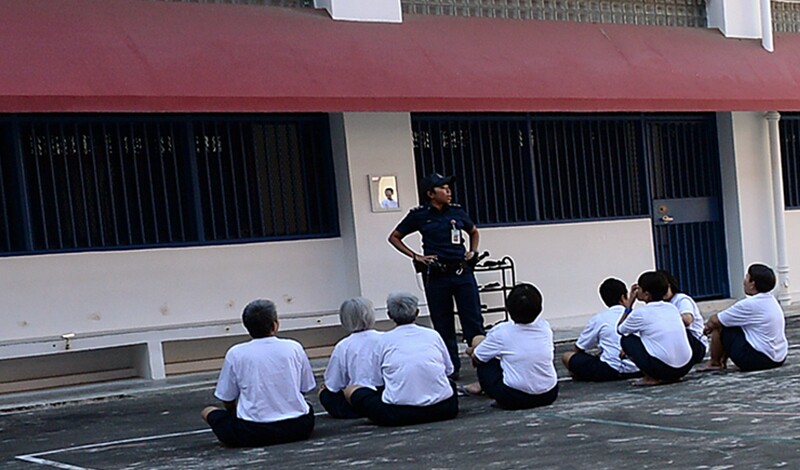 All female offenders, regardless of their crimes, are sent to Changi Women's Prison (CWP). 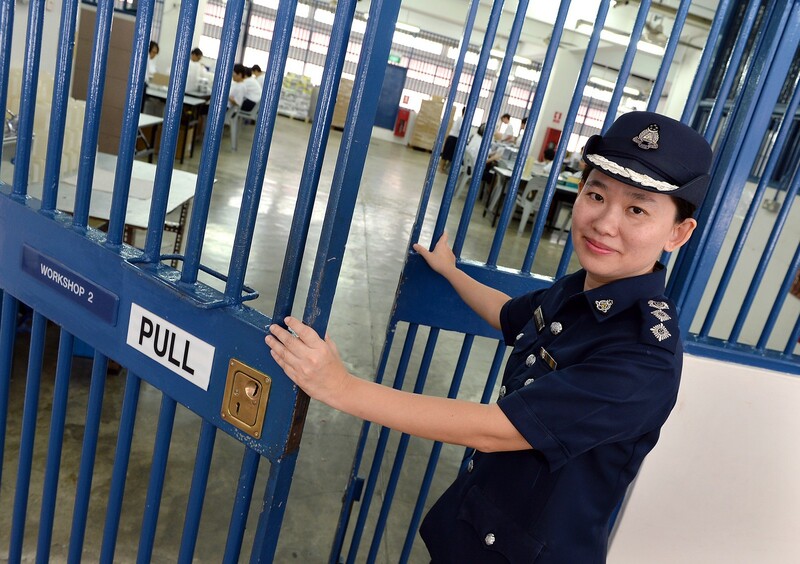 CWP Superintendent Chong Fung Ping credits her all-female staff to being the glue that holds the prison together. "They're not only effective in their roles as custodians and disciplinarians, but also play a big role in engaging the inmates so the latter would be motivated to change," she said. Change, rehabilitation and re-integration are themes that constantly pop up during our interview. 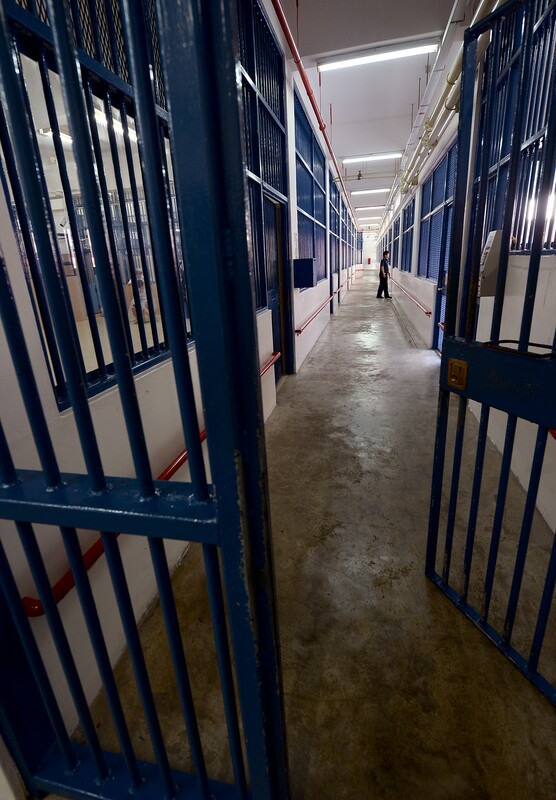 This, she said, was something ingrained early on when she was part of the team that went about turning around the prison system under former Singapore Prison Service (SPS) director Chua Chin Kiat. Do not drop your pen cap. That was one of the first things the TNP journalist was told after entering Changi Women's Prison (CWP). This is because the entire prison will go into lockdown mode until the cap is found. No matter that it is made of plastic - any object, however innocuous, could be turned into a weapon. 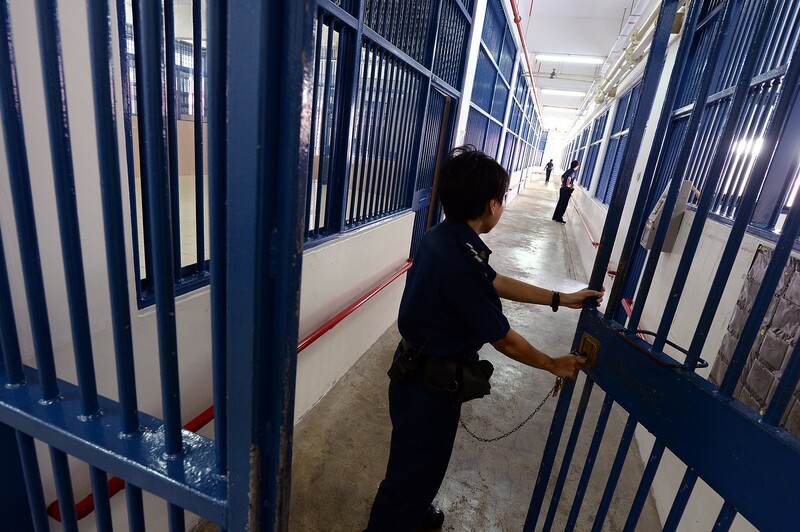 The current CWP (full name: Changi Women's Prison/Drug Rehabilitation Centre) was completed in 1994 as a solution to overcrowding in the old Female Prison near Moon Crescent. Then, the five four-storey blocks, which could house up to 637 women in 44 dormitories and 177 cells, were lauded as state-of-the-art. 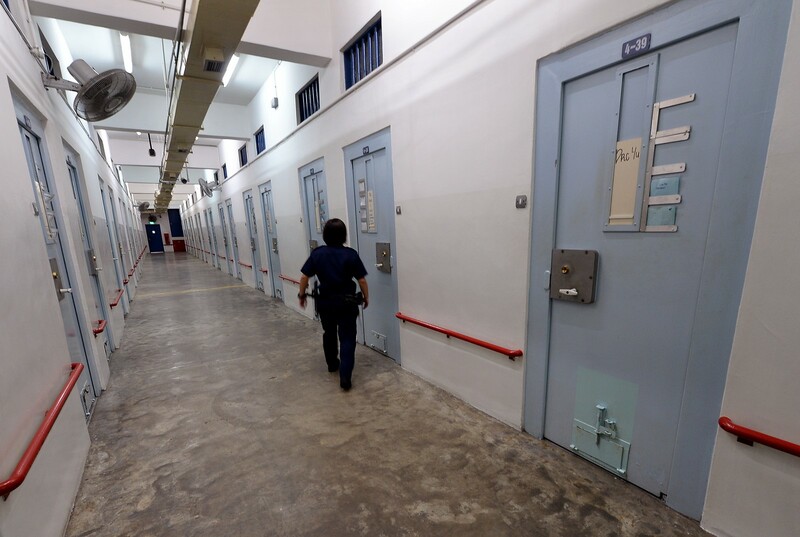 Two decades on, it is still the only women's prison and drug rehabilitation centre in Singapore. 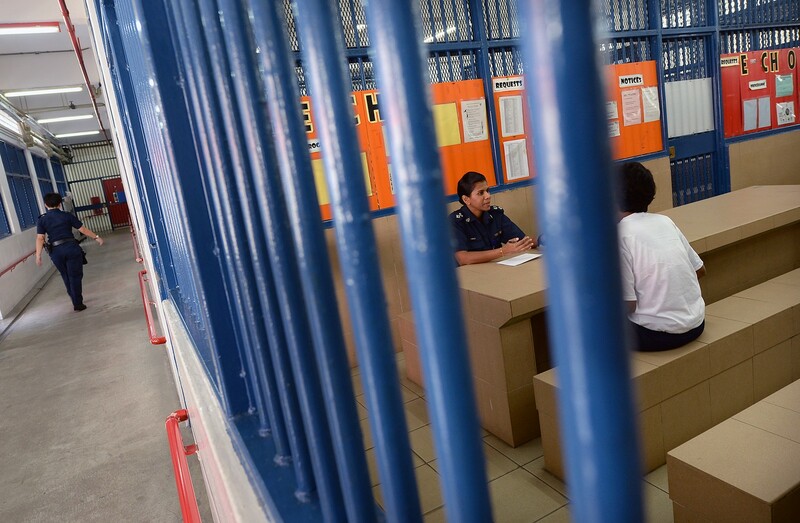 But its facilities have been upgraded to accommodate the 1,293 inmates it now houses. 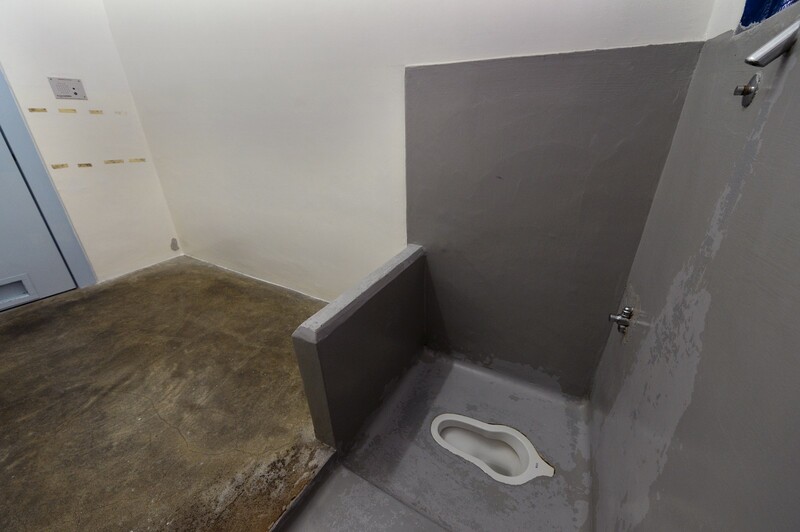 The cells, about half the size of a HDB room, are shared by three to four women. They are given mats to sleep on. In a corner is a squatting toilet and a shower. There is no fan and the only source of ventilation is through meshed up air holes high above. The 7m-high prison walls that cut off all sound from the outside, the stark concrete floors and walls, and the intense discipline the women are subjected to. 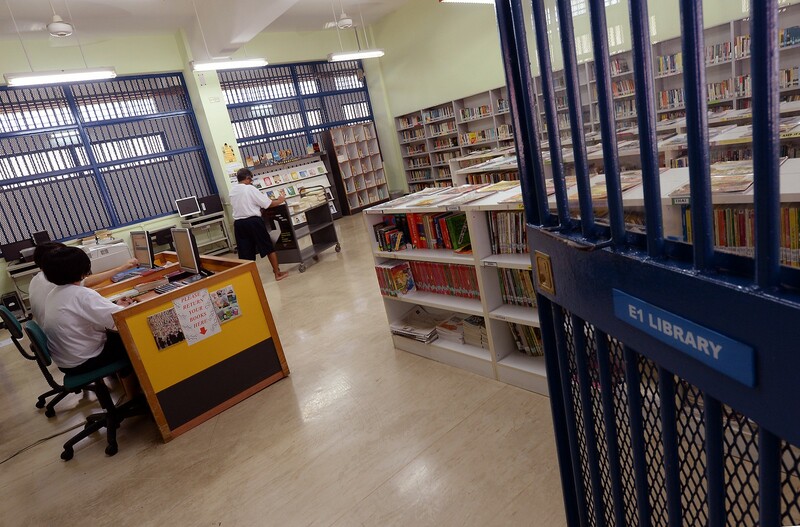 The prison library, which is not air-conditioned, is also run by inmates. Here, there are books in several languages, including Thai. CWP recently restarted the hairdressing course in partnership with Kim Robinson. 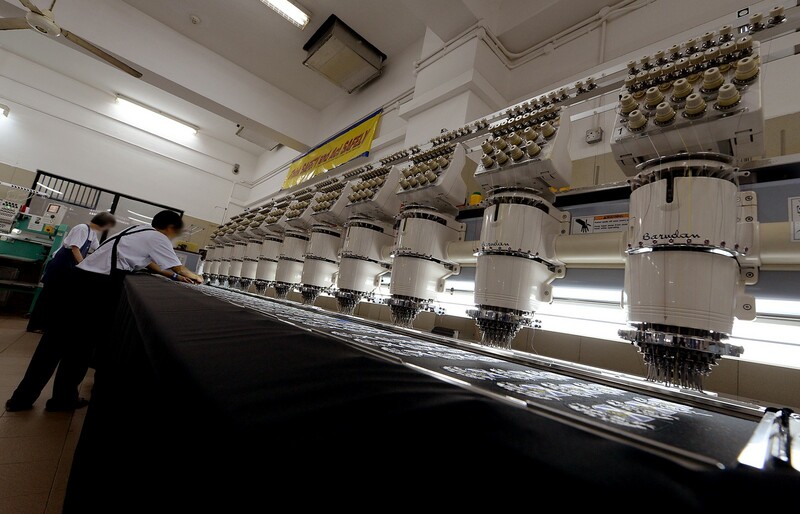 In the embroidery workshop, there were large machines sewing sports badges and name tags. In the yard, a concrete space about the size of two basketball courts, the women can mingle and play ball games. There is also a lot of squatting in prison. In a squatting position, it takes more effort to get up and move, compared to if one were standing. 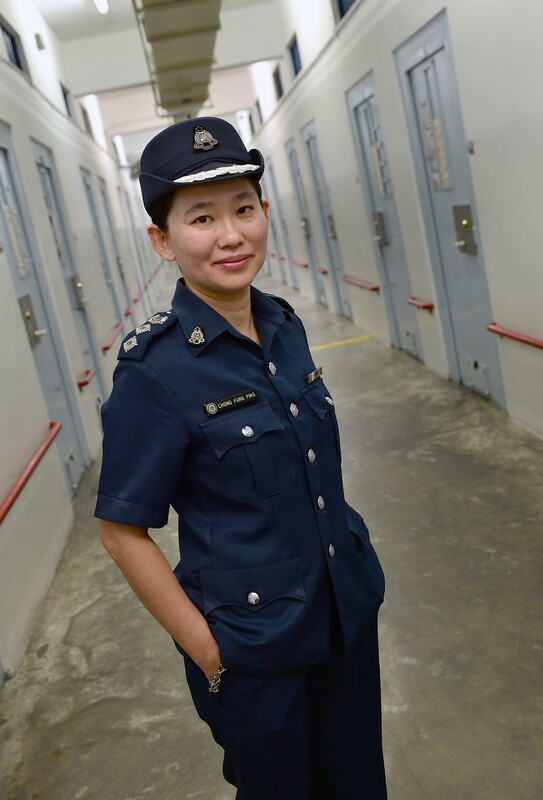 Changi Women's Prison Superintendent Chong Fung Ping, who has been in the job since April 2012. She said that programmes in CWP are catered more towards the woman's role in the family, including training workshops which include a hairdressing programme with a barista course also in the works. Counsellor Charlotte Stephen, who has been working in the prison service for 12 years. She says the toughest part of her job is changing one's thinking from being that of a criminal, to that of a contributing member of society. The main aim of the prison service is focused on reducing re-offending. Chief Warder (1) Siti Hawa Ahmad Salleh said the incarceration of someone close to her was what led her to join SPS. Since then, she has witnessed first-hand the impact of rehabilitation on lives, and has decided to stay on for seven years. 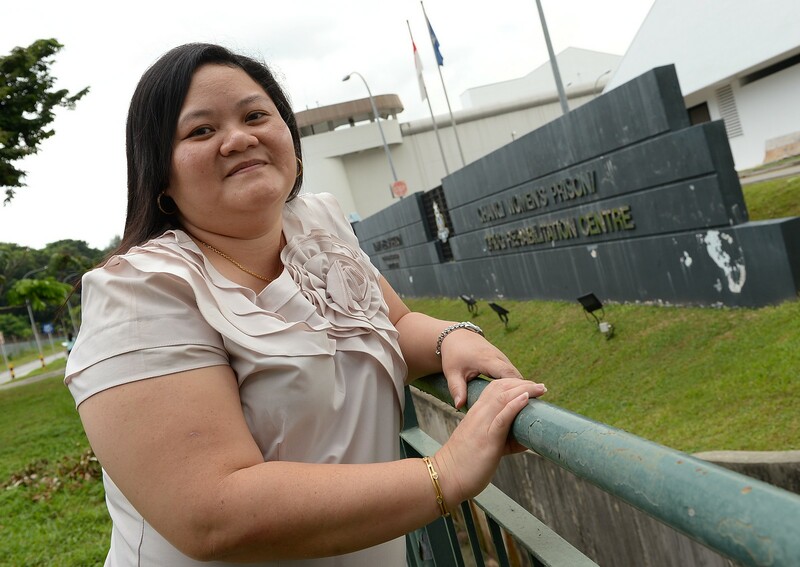 For the last five years, prison volunteer Ms Emily Tan has been helping run courses to help inmates cope with life after release. Before Mr Chua took over in 1998, close to half its inmates re-offended after release, and its practices were a far cry from today's. After joining SPS in 1994, Supt Chong took on a variety of roles, including heading its staff planning and development branch, before taking up the role of CWP Superintendent in April 2012. Since then, the service has come a long way, and a key development has been the introduction of evidence-based programmes. "It's no longer (that we implement a programme) because we think this is what drug addicts need. A lot of our programmes are (now) based on evidence from overseas on what works in the rehabilitation of offenders," Supt Chong said. The main aim of the prison service is focused on reducing re-offending, and every step taken in policy-making and programme planning has been geared towards that. There are three phases of incarceration: Deterrence, treatment and rehabilitation. 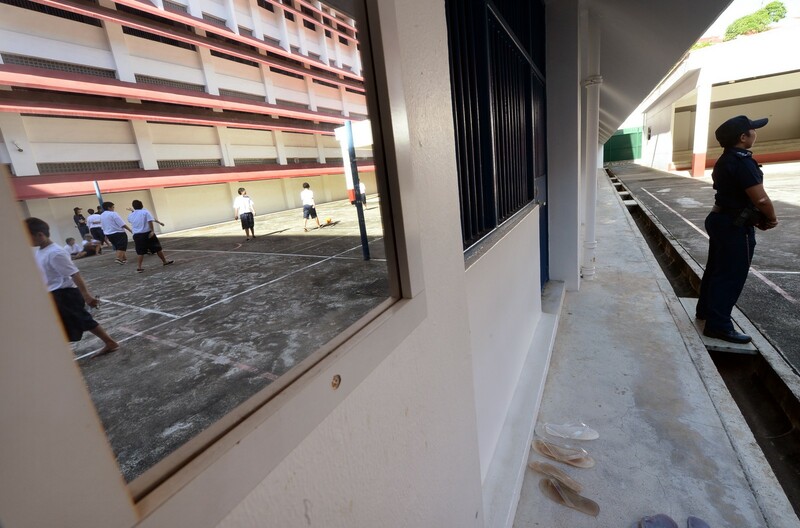 Over the past two decades, the emphasis has been on the latter two, Supt Chong said, adding that community engagement has played a huge part in helping ex-offenders integrate into society. So will there be a day where there is no re-offending? The superintendent smiled, saying: "There would still be a need for a physical prison, because there are many reasons for crime. "Our aim is to lower recidivism (the rate of those re-offending within two years of release from prison), and if that number is as close to zero as possible, that is something we can look forward to." The 29-year-old said: "It's one career that you would not know anything about unless you're the one working or (are) on the other side." After finishing her polytechnic education, she worked as a manager in a coffee joint for a year before joining the prison service. And since then, every day brings a new challenge. She ensures the women keep to their strict regimen, which starts at 6am and goes on till lights out at 10pm. Just like everywhere else, the smallest of issues, like someone brushing against another, can be reason enough to start an argument. "Of course we might think it's a small issue, but we have to be sympathetic," she said. Officers are trained to let inmates pour their hearts out, but there are strict rules about what officers can tell their charges. Similarly, they have to be professional even in extremely emotional situations. And the various courses and training sessions she goes through yearly certainly help to keep her skills up to date. This article was first published on Dec 09, 2014.